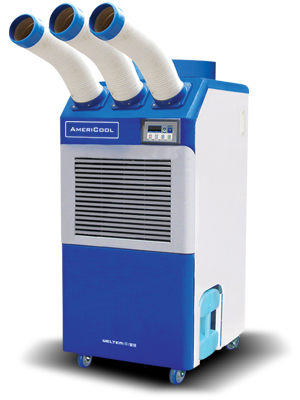 AmeriCool portable data center air conditioners are quality units that are suitable for all applications, though they are designed to perform in both area cooling and spot cooling situations. Our units are designed to be ideal for commercial application needs such as mission critical technologies, computer room, server rooms, along with cooling individual data system equipment. 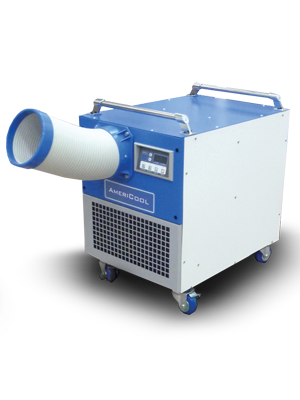 What really sets our units apart from our competition are the key features, an example of the quality and durability you can expect with our units starts with the temperature. 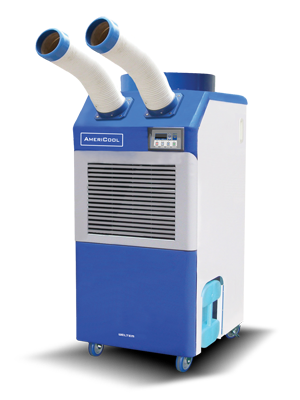 Most commercial portable air conditioner units cool down to 68 degrees but AmeriCool portable air conditioners cool to 64 degrees to ensure the optimal environment for your data system equipment. 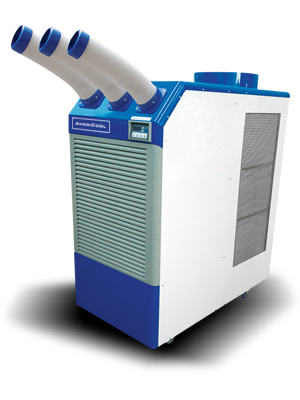 These durable air conditioning systems are designed to be simple to use, as they can begin working immediately without a difficult set up process and are compatible with generators. 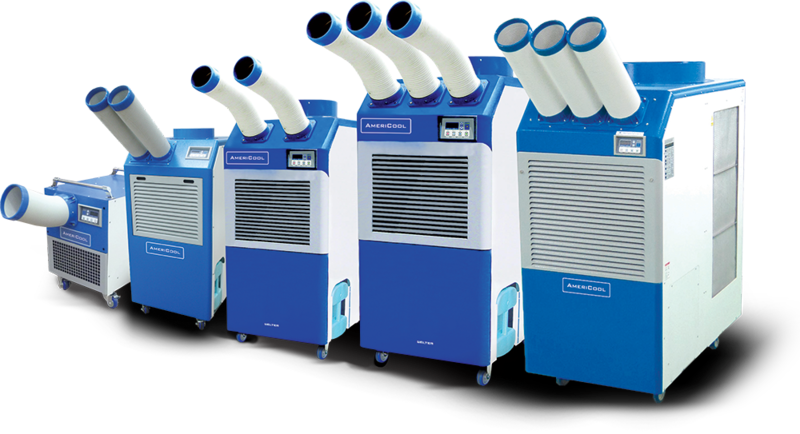 Our air conditioning systems have been engineered for easy installation though the product quality has not been sacrificed and continuous maintenance is hardly necessary for these nearly self suffiant units. 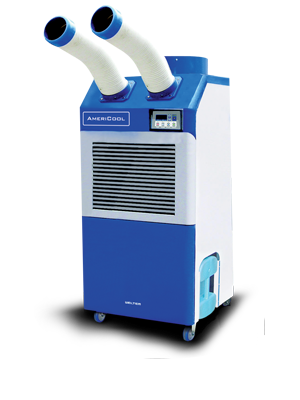 They are self sufficient in that they have a self-diagnostic system along with an automatic restart function, allowing you to plug it in an your portable air conditioner will take care of itself. The only recommended maintenance is the regular washing and cleaning of the filter. 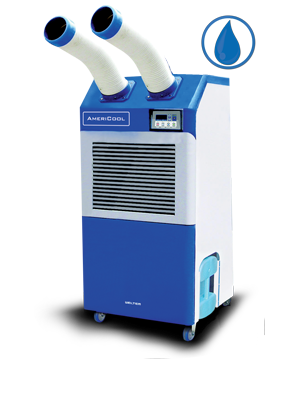 This makes them virtually self reliant along with self-care they have hot and cold ducts that are easily extended to the correct fit, so you won't need manpower to get the air conditioner system going. There is an off-timer option, though for mission critical needs such as server cooling, one would most likely benefit from the 24/7 cooling capability and the automatic restart function if there is ever a power outage. When power is restored this enables the air conditioner system to restart and run so that there is never a moment missed and the machine can continue its cooling. 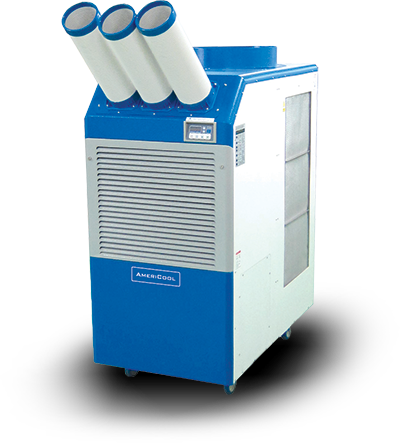 With a fleet starting with the single nozzle WMC-2500 ranging to the triple nozzle WPC-1500 there is a solution for you no matter what your specific commercial or industrial cooling needs may be. We also offer the dual hose portable air conditioner WPC-4000, which has a capacity of 16000 and two nozzles, an included condensate pump, and is our only unit that has a water cooling feature. 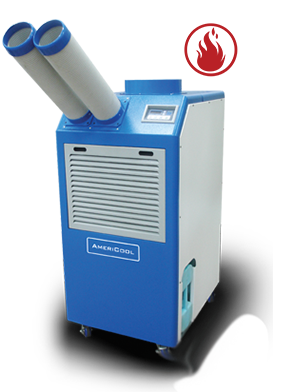 The following list of typical uses demonstrates how AmeriCool Air Conditioning units meet the needs of highly technological industries.